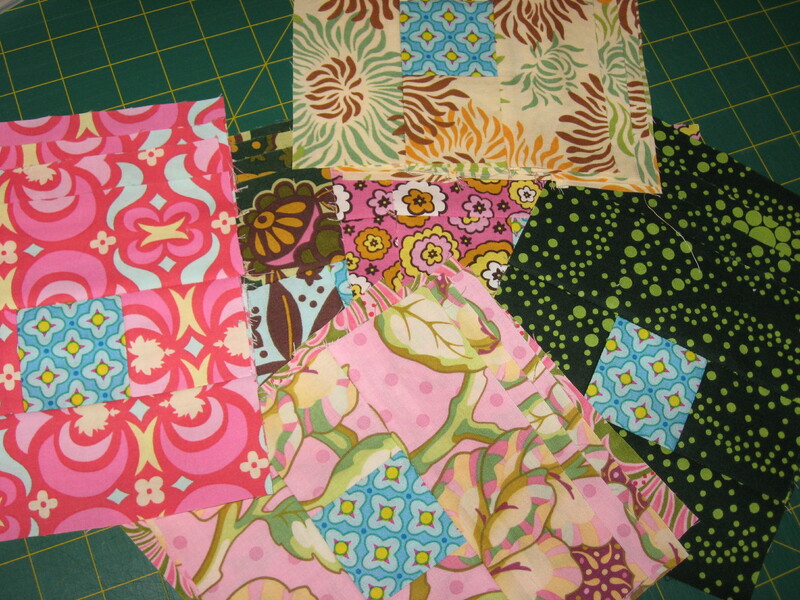 Well this week I’ve been piecing the blocks for the Fat Quarterly Quilt Along. Here are just a sampling of a couple of them. They all use the same centre square. Below is a picture of the rest in progress. It’s a bit of a way to go before I get to piecing them together into a top, so week 3 has already started in the Quilt Along and I’m behind by two days. I think I’ve mentioned this before, but you are a pretty efficient sewer!! Puts me to shame really. Congratulations on a lovely start for your new blog! I love the colors you are using for this project. Thank you so much for commenting and visiting my blog. It is greatly appreciated. 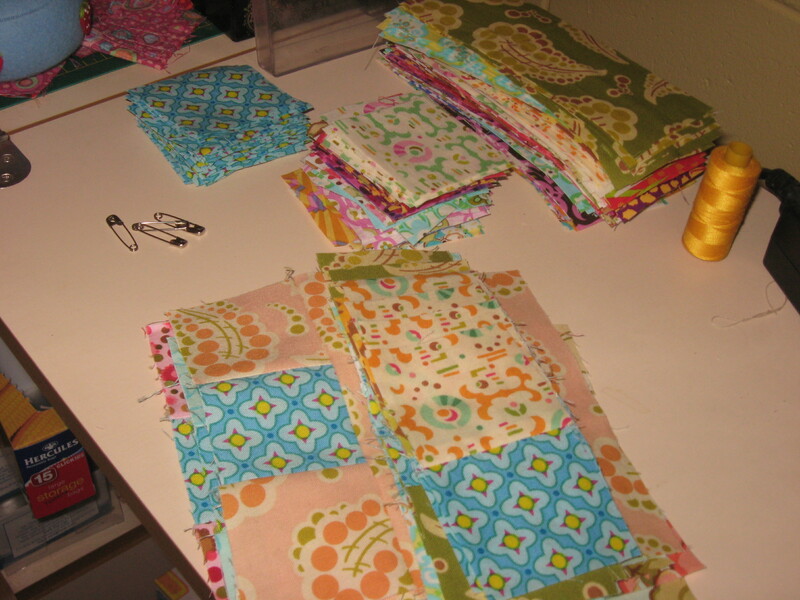 I love these colors and fabric too.